Going through 'em like crap through a goose! 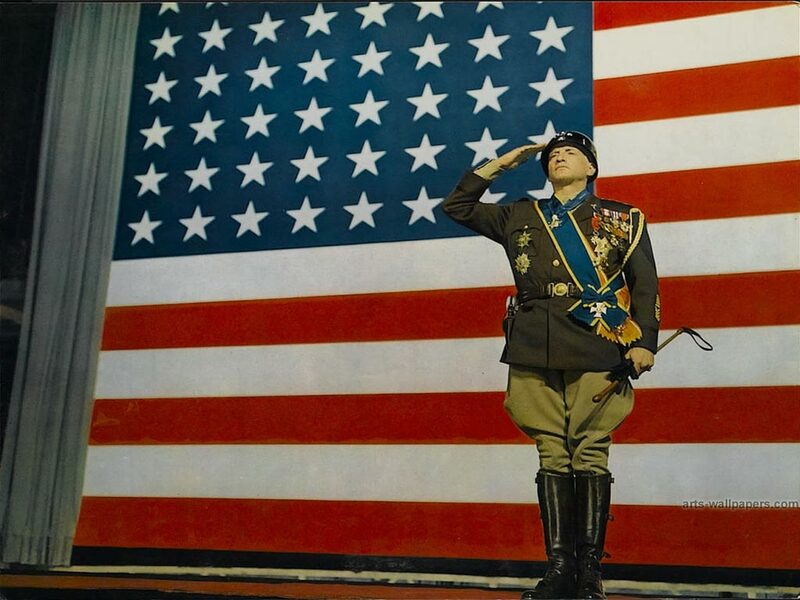 The line is by George C. Scott Patton. It's at least from the movie, and purportedly something the General actually said. Further affiant sayeth not. The latest ABC News / Washington Post poll showed nearly six in 10 Americans — 59 percent — opposed to U.S. missile strikes in Syria, while just 36 percent said they support such action. There's larger support for allied action against Syria, but a majority remains opposed. Fifty-one percent said they are against allied missile strikes compared with 46 percent who are in support. Following the British parliament's vote against military action in Syria, France is the only major European power to support President Barack Obama's call for a response against the Assad regime. A whopping 70 percent said they are opposed to providing arms to Syrian rebels, which has reportedly not taken place despite the Obama administration's previous pledge to do so. A poll in June from Pew Research Center found an identical percentage of Americans opposed to arming the rebels. And who cares because all real Americans LOVE war! Or hate gas. It comes to the same thing. Still: Iraq. Afghanistan. Libya (BenghaziBenghaziBENGHAZI!!!! And yes, that's still playing at a wingnut theater near you*). Memories of Black Hawk down aren't even that old. And now Syria, which like all those other grand adventures are going to cost no American lives or money (the defense contractors are donating the weapons systems for this party!) and unicorns will spring from the craters we make and the dead we indiscriminately kill with our bombs at least won't be dead indiscriminately killed with gas (no kidding, I've heard this argument about gas, how "indiscriminate" it is. So are "smart" bombs and "daisy cutters" and bomblets and land mines and all sorts of "anti-personnel" weaponry that the US blithely uses. Let's face it, until the U.S. signs onto a land-mine ban, I never want to hear about how "indiscriminate" chemical weapons are again.). So, no, I don't care how often John Kerry says "Munich," nobody really thinks Assad is Hitler, Syria is Nazi Germany, and Kerry is Churchill. Is it any wonder nobody likes this except people in D.C.? First, let's be clear: for 40 years now, the President hasn't really had to ask Congress' permission to bomb the bejesus outta somebody. Congress gave that up in 1973 (oh, the burden of Vietnam, will we ever be rid of it?). I'm not gonna quote it, read it for yourself. All the POTUS is required to do (with explicit Constitutional references in the resolution; Congress knew precisely what it was doing, make no mistake about it) is "report" to Congress on where the bombs flew and why and what a pleasant outing for the troops it was. Seriously. That's all. Obama doesn't need to ask Congress, Congress gave away the Constitutional store years ago. Actually, they did that by making the military permanent after World War II. 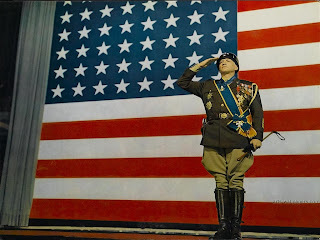 We have a standing army, what good is it if the President can't be a diktator once in a while to save us from the swarthy men who would diddle in the punch bowl and likely soil all the lamp shades? Of course, will Congress forbid Mr. Obama his excellent adventure? Did the sun go down the morning? Was there darkness at noon? No. Well, then you have your answer. If it goes right, Congress will praise the military for succeeding in spite of the black Democrat in the White House, and many of them will probably say it still could have gone better; and if it all goes south, Congress will blame the black Democrat in the White House for not doing enough and not being man enough to really kill Syrians by the thousands, like...well, like Assad, who's killed more people by conventional means at one go than any chemical attack has done. Either way it will all go south, no matter what happens. There is nothing to be won here by military means. You now have Republican members of Congress deploring 1) President Obama’s refusal to take military action against Syria, 2) insisting that he requires congressional authorization to do so or he should be impeached, 3) saying they won’t vote to authorize it because he won’t go far enough and 4) also because he’ll go too far. And the kicker is that it’s often the same person saying each of these mainly or in some cases totally contradictory things at the same time. I say Republicans. And in this case, their extreme animus toward the president intensifies the nonsense. But the shoe might well be on the other foot if a president of the other party were in office. It's the last sentence that's funny. Nobody can be so astute an observer of D.C. politics and so dim at the same time. Everyone knows Democrats hate war and are pansies, and only Republican Presidents are real men who get us into real wars which real American all love! Josh Marshall and others think involving Congress will impose some kind of accountability on John Boehner or Mitch McConnell or Rand Paul or Louie Gohmert. And I say I'm more likely to see monkeys flying out of their collective butts. If nobody is accountable by now for that laundry list JMM cited (or anything else these yahoos have flung poo over), then why will Syria be the magic bullet that finally makes the scales fall from the voters' eyes? 'Cause that's the only kind of accountability that counts in D.C., and that only counts when the pundits and poohbahs say it does. The screaming and yelling about points 1), 2), 3), and 4) will continue unabated, no matter the situation or the internal contradictions. And the voters will no more pay attention to in November next year than they pay attention to the cycles of the moon. In the end, this is how the Constitution works. Not as an ideal that imposes order on us; but as the set of rules we say it is. The Constitution really only says and does what we all agree it says and does. And if Congress 40 years ago decided the POTUS can send the troops on outings whenever he wants to, so long as he tells Congress about it sometime after the fact, then unless this Congress is going to specifically vote to deny Obama the authority to take any military action against Syria without explicit Congressional authority, who really cares what they decide? The decision was made 40 years ago. Right now we all know what's going to happen; right now we're just dithering. Obama's got the Presidential seal; he's got the Presidential podium. And by the time people decide they really didn't like that "war," he'll be a lame duck anyway. And in the monkey house on Capitol Hill, they'll remain busy flinging poo. And we'll all praise our military for its bravery, and ignore the financial costs of the endeavor, and go back to listening to Congress critters tell us we're broke and can't afford to take care of anyone, and they won't even have to say it's because we've got to replace all those expensive armaments we lobbed into Syria. Because war may be hell for the people who fight it, or who suffer from it, but to not bomb Syria now would ruin our national reputation. Seriously. I heard that argument this morning, too. Syria is a major refugee crisis; Syria is a stability crisis for the region. Assad is a brutal dictator who, if he is not dethroned by the U.S. (which would take boots on the ground, whatever John McCain says to the contrary), will tell his people he survived the worst we could deliver. But we still need to bomb him because: American credibility. Which has improved so much since Iraq and Afghanistan. We can't stop now. *Shortly after Speaker John Boehner (R-OH) announced his support Tuesday for intervention in Syria, ultraconservative Rep. Tim Huelskamp (R-KS) invoked Benghazi to argue that President Obama can't be trusted to carry it out.